Supply chain management has crossed over from being a narrow management function to being a key operational function. Success now hinges on a different set of criteria, where each company is racing to get the right product to the right place at the right time—and at the right cost. Our goal is to align customer objectives with the best supply chain strategy in the Electronics Manufacturing Services (EMS) industry. What are the goals of WORLD’s approach to supply chain management? 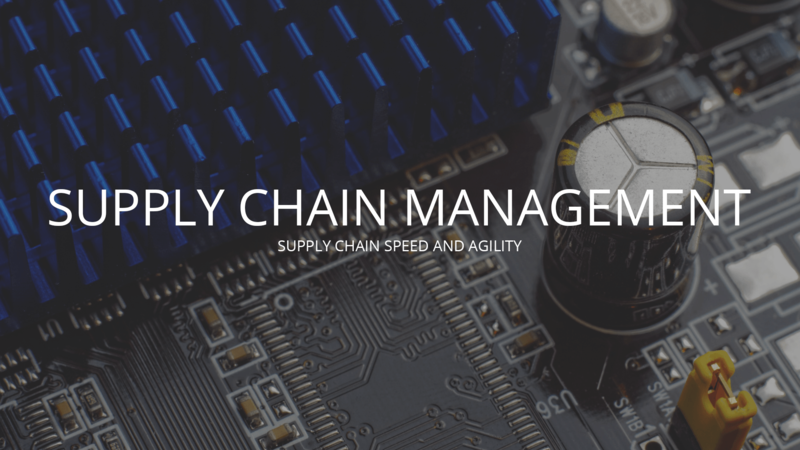 WORLD’s supply chain management programs are focused on implementing strategic drivers, business tools, and processes to improve the overall effectiveness and efficiency of designing, manufacturing and delivering your electronics products. We can design a customer’s supply chain to mitigate the effects of market availability and seasonality. We strive to limit our customer’s exposure to excess material cost, but if needed, our warehousing strategy can excel through ordering spares, kept to one side in the event of another run or reworking. WORLD’s supply chain management is very flexible and nimble, and as such we can easily build and configure your product to order, plus provide global delivery if required. Prototyping and full production can be begun as soon as possible because of our procurement connections. In fact, WORLD electronics manages one of the most comprehensive supply chain networks in the world. Shorter product cycles, higher inventory turns, faster time-to-market requirements and supply chain speed and agility are just a few of the challenges that make up an ultra-competitive economy. A process-oriented approach to supply chain management is necessary for world-class performance. We believe that the identification of key performance indicators and our ongoing measurement are fundamental to performance improvement. Through our performance management processes, we provide suppliers on-going feedback relative to these indicators and work with them to continuously improve performance, both for our clients and their products and for our own improvement going forward. WORLD’s goal is to continually reduce supply chain risk to make sure our customer’s products get to market on time, and always, faster than their competitors. We achieve this through a system where long-lead, EOL, obsolete parts are identified, sourced and alternates recommended as soon as practically possible. Our relationship with global electronic distribution companies allows bonding agreements which guarantee products can be ready for production within 5-10 days after receipt of purchase order. We are constantly expediting our customers’ production needs and have a robust counterfeit part prevention program so that always we guarantee that our customers receive what they paid for. This step helps ensure a quality final product, delivered on-time to meet or exceed our customer’s expectations and puts supply chain accountability in WORLD’s hands where we can leverage our partnership to drive more value to our customers. WORLD’s collaborative approach is focused on helping our customers achieve the lowest total cost of ownership. Partnering with WORLD’s engineering team early ensures the optimal design for manufacturability, not for our profitability. At all times, we work with our clients, to ensure we deliver a certifiably reliable product at a fair price. Our system-driven lifecycle management approach can trace components down to each serial number throughout our production and warehousing facility. Should any issues occur during manufacturing, our engineering team can quickly identify the components in question and find an amenable solution as soon as possible. We deploy tools and processes that allow preferred supplier partnerships, and which allow WORLD to leverage its total material spend. This delivers margin enhancement and assured supply for our customers, granting them improved market share.